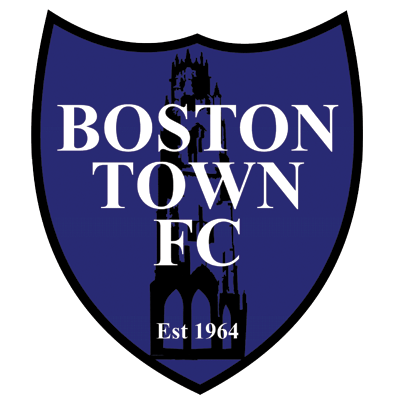 Following a spirited display at the Haydon Whitham Stadium on Tuesday, we continue our hectic schedule as we face Boston Town on Saturday, at Elderstubbs (3pm). The Poachers sit 15th of the United Counties League Premier Division as they settled for a point with Cogenhoe United at Compton Park. The draw with the Cooks was only their third in their last five games as they try to climb the table following their poor early season form. Tiago Nassunculo is scoring the goals in the DWB Stadium, but it is 18-year-old Daniel Horton providing the chances. The midfielder has been in fine fettle this year as his speed and passing prowess has also seen Horton chipping in with goals this season and has found the back of the net four times. Before moving to the Lincolnshire-based outfit in 2018, Horton had come from EFL Division Two side Lincoln City. He also came off the bench, at Elderstubbs, in our 1-0 FA Cup defeat back in September during his loan stint with Grantham Town. We moved ten points clear at the top of the Premier Division back in October after grinding our way to a 2-1 victory, at the DWB Stadium. We had gone ahead in the early stages in Lincolnshire as Taylor Orosz fired the Purple Army in front on six minutes. Boston lost Harry Deane through injury after 24 minutes, and got themselves back on terms through Robert Raducan after the break. We pressed for the lead in the latter stages and goalscorer Orosz would turn provider as he crossed for Gregory Anayiotos to volley us in front. As Boston pushed to salvage a point, we held off the Poachers to grab three precious points on the road. It had been a disappointing start to the season for the Poachers as they managed just a point in August, with defeats to Rugby Town, Holbeach United and Oadby Town but claimed a 1-1 draw against Pinchbeck United. However, they continued to stutter the following months losing twelve of their next sixteen games till the end of December. Boston’s form picked up in 2019 though, as Gary Edgley side picking up 18 points out of a possible 21 in January and February, progressing out of the relegation zone to 13th. Their form dipped again though with just one win in three through March as they dropped to 15th.